Killarney International Youth Hostel (An Oige) i Killarney, Irland: Bestill nå! 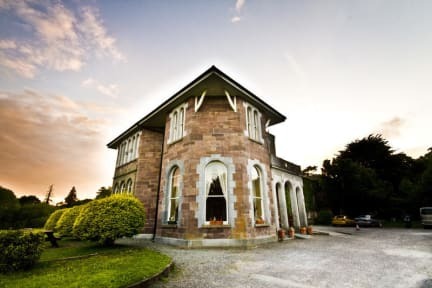 Situated in Aghadoe on the Ring of Kerry road, adjacent to the national park, this An Oige Youth Hostel is an impressive 18th century mansion on 77 acres of beautiful gardens and forests 5km from killarney. Commanding spectacular views over the mountains and lakes of Killarney, Aghadoe House is fully equipped with modern facilities whilst maintaining the charm and character of an historic building in peaceful surroundings. On arrival a warm welcome awaits you from the friendly and knowledgeable staff who can advise you on all trips and activities available locally and nationally. Boat trips or kayaking on the lakes, horse riding in the park, rock climbing, hiking and more. We have free information and maps for cyclists, walkers and motorists keen to explore the kingdom of Kerry. 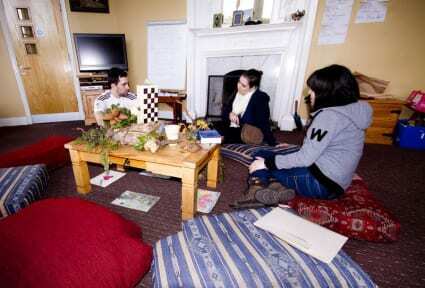 We specialize in family rooms, group rates and activities with a secure key card system in the hostel and bedrooms. The hostel promotes an ecological policy. Latest check-in 14.00 - 22.00. Reception opens at 07.00 am.